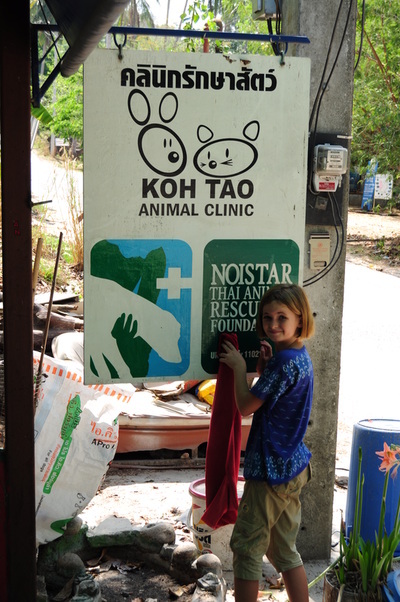 The Koh Tao, Noistar Animal clinic provides free veterinary care and spay/neuter services for the stray dogs, cats and wild life on the island and offers affordable veterinary services to those who can afford to sponsor the clinic. In the past couple of years Jae Intaraksa (manager and main veterinarian) and Nai (the assistant of the clinic) did their best to control the growing population of stray dogs on the island but now the cats are becoming more and more popular and the wild population is expanding rapidly. 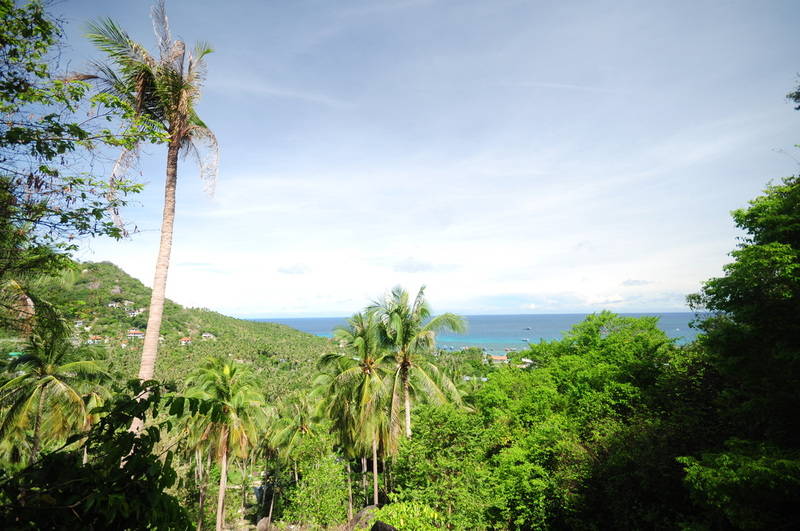 We spend a total of about 3 months on the island, giving Jae the opportunity for a well deserved holiday and helping the animals of Koh Tao. Jae needed a holiday since the clinic is open all year round, 6 days a week and she is on call 24/7! After almost 36 hours of travelling we arrived in Koh Tao and were welcome by Jae, showing us around in de Koh tao Animal Clinic. 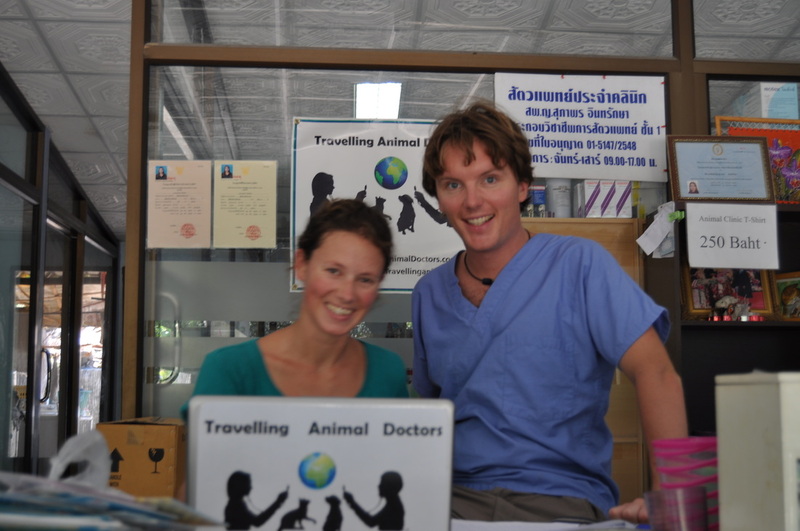 Andrew Ford a DVM from Canada and Jamie Sue, a vet tech from Germany were also volunteering at that time, and they showed us all the in-house patients. Happy is a dog that was found roaming alone, the only problem was that her hind legs were paralysed. She was dragging her legs behind her causing open wounds. 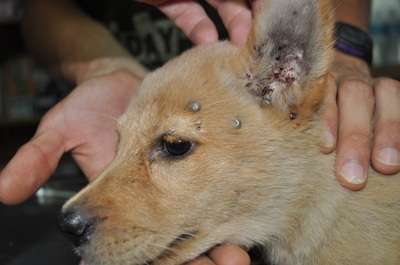 This was caused by a blood disease spread through ticks. As there are many ticks on the island we acounterd a lot of problems with tick-born diseases. 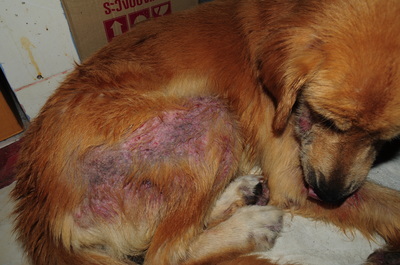 Happy was taken back to the clinic by Andrew, just 2 weeks before we arrived. 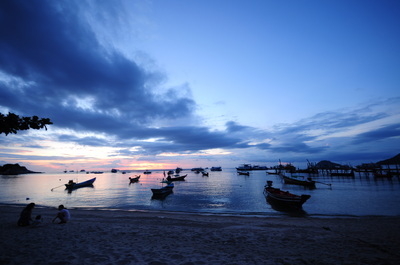 And since then, she got medication and hydrotherapy (swimming in the sea) each day. 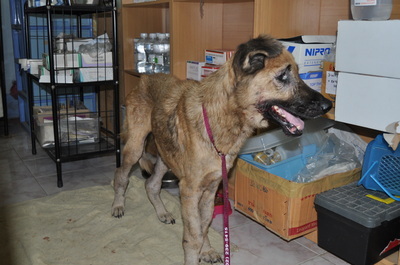 We have been taking care of Happy for the whole time we were on the island as she slowly showed some progress in here recovery. She will never be able to use her hind legs properly again but we found a place for her near the beach were she can go for a swim whenever she wants. 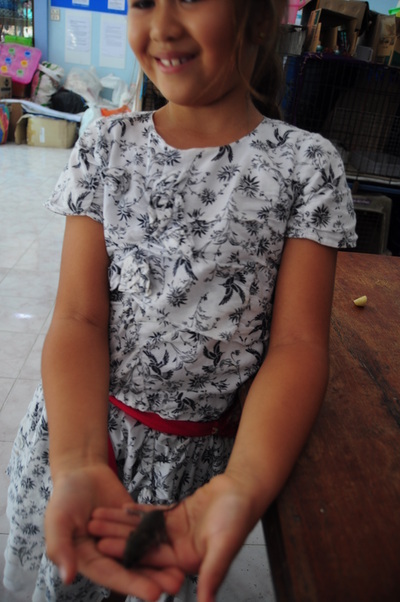 We wrote a special blog about her, you can read it at our blog site. 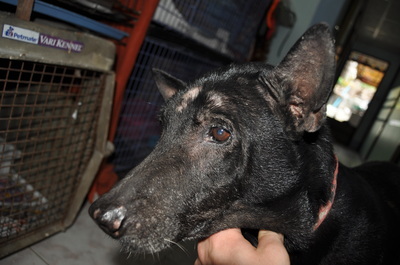 Andrew also made a small video clip about her, that you can find on our facebook page! During the 3 months we treated many animals, strays as well as owned. 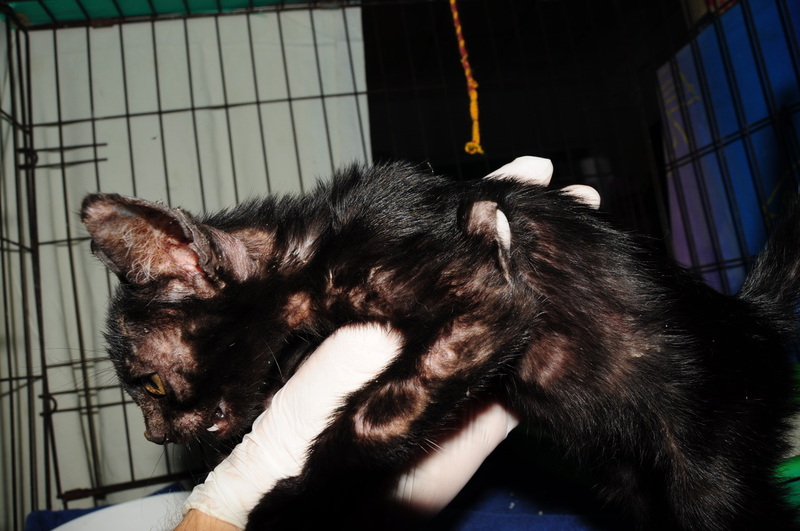 We've treated all different cases: poisoning, trauma due to car accidents, force feeding newborns and of course elective spaying and neutering. We treated mostly cats and dogs but there were some special cases; squirrels, birds monitor lizards and a monkey! 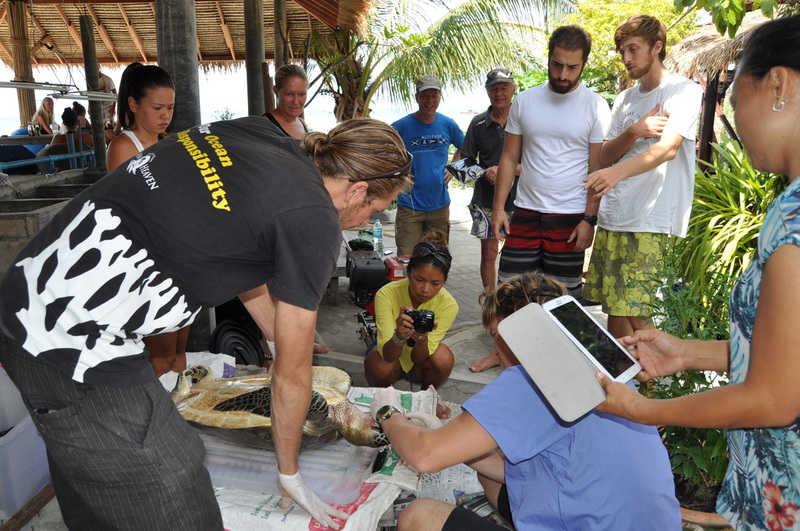 We did an autopsy on a sea turtle for the Koh Tao Conservation group and we organised a spay and neuter day in Sairree in cooperation with Big Bleu Dive Resorts. Together with the help of Heidi and Allen we were able to catch-spay/neuter-release a lot of 'wild' cats and with the help of Nai we were able to start the conversation about vet care and the need for spay/neutering with the local Burmese community. 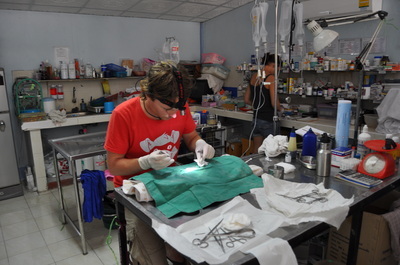 Hannah Stoughton, a volunteer who also helped us in Galapagos (Ecuador) came over from the States to help us in the clinic for three weeks and Jaime Sue changed her flight so she could stay and volunteer in the clinic longer. In total Jamie has been helping the clinic for about 6 months! 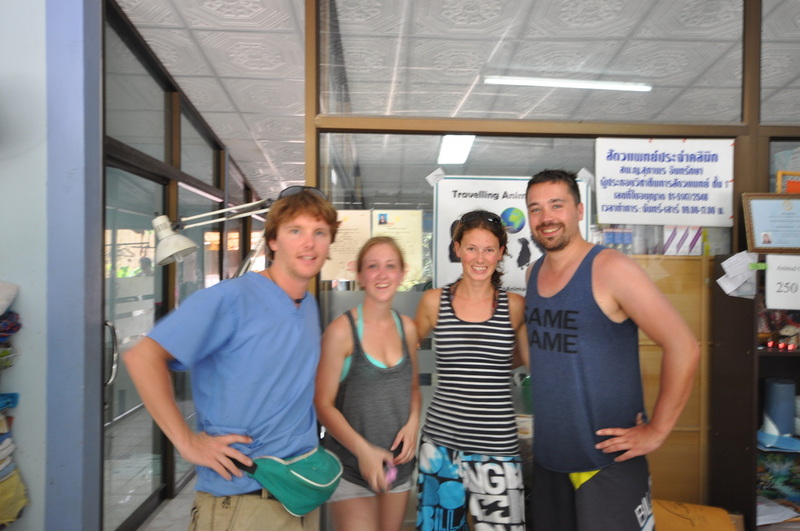 Ilona, veterinary student from The Netherlands came to enforce our team for a week since she was in the neighbourhood! 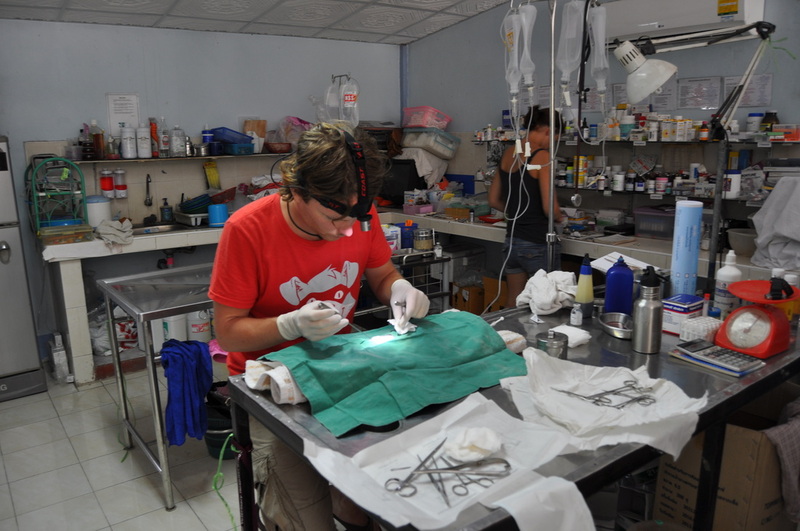 We've had several other volunteers coming into the clinic helping with the animals, sometimes for a day, sometimes longer. 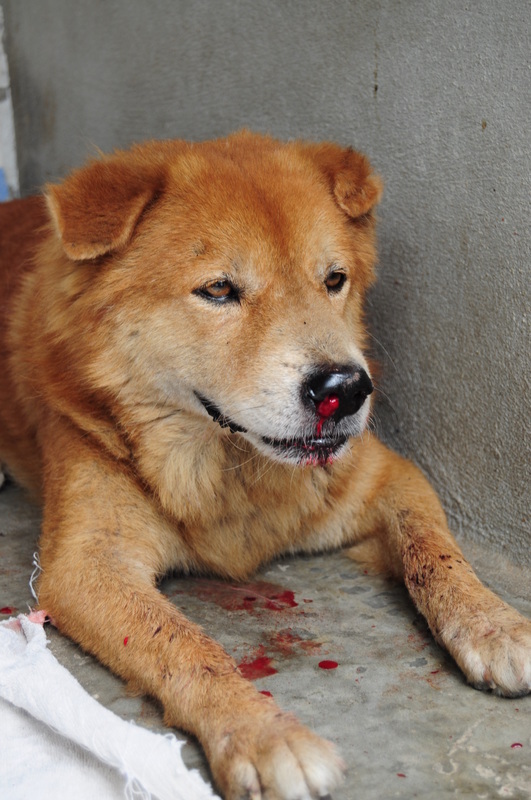 We would like to thank all of you for the wonderful job you did helping out the Noistar Animal Clinic. 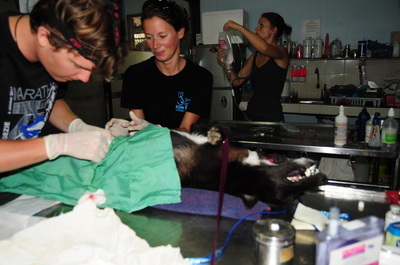 Thanks to you a lot of Koh Tao's animals got the treatment they needed giving them a better quality of life! We would also like to thank Jae and the Noistar Animal clinic for the wonderful work they do and for giving us the opportunity to work with them! 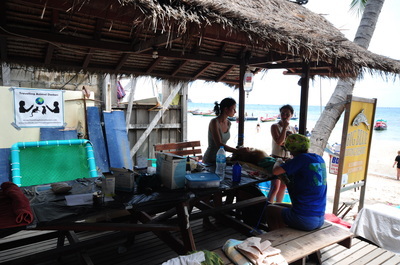 If you are interesting in helping Jae and the Noistar Animal Clinic in Koh Tao, please contact us. 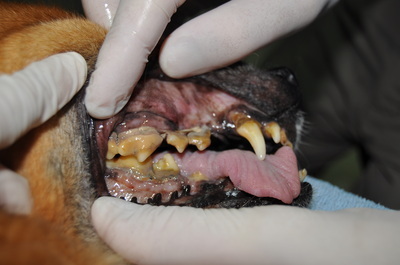 We are currently looking for an experienced vet who could help the clinic during November December!